Rising interest rates are having an impact on markets, including life insurance. 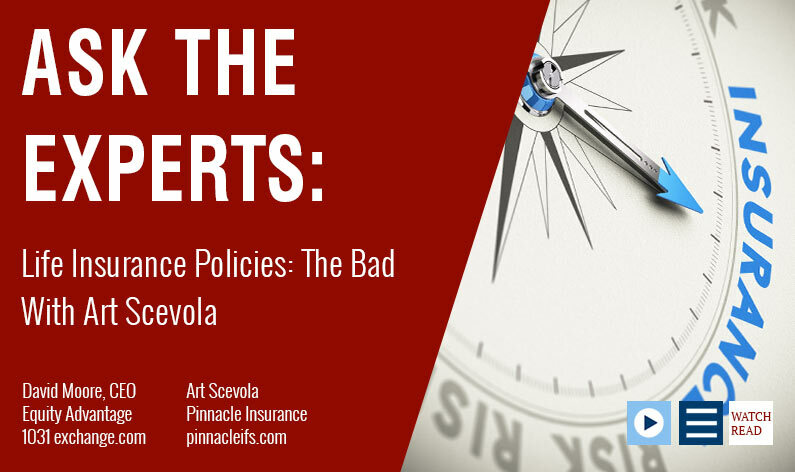 David Moore of IRA Advantage asks the expert Art Scavola of Pinnacle Insurance about life insurance policies as a financial tool, the sale of life contracts, and understanding current trends. Art Scavola: We’ve got some great news out there in terms of our economy, and obviously that has an effect on carriers. Carriers, by and large, are fixed income investors, and for the last 10 years the carriers have not enjoyed great rates of return. One of the bad things that I want to mention is that if you’re holding an interest-sensitive contract, whether you are a business, an individual, a trust, or a charity, it’s time to reevaluate that. Because interest rates are being reduced inside many of those types of contracts to the minimum guaranteed amount. Art Scavola: Then, to add insult to injury, right now a lot of the insurance carriers are having to go to their highest internal charges for mortality and expenses (highest allowable charges, that is). That has the combined effect of making or resulting in a contract that may not make up to expectations for as long as is needed, so we have people who either have to step up and pay more money, or we have policies that are going to fail. Again, there are opportunities to reevaluate as to whether that need still exists and what that’s worth. I would say that’s the first sort of bad story out there. In terms of life insurance, we’ve not seen this happen before. David Moore: Even though we’ve got rising rates everywhere else, we’ve got a situation where things are changing. Art Scavola: Regarding rising rates, that’s a little bit of a myth for life insurance companies because they operate on a 10-year bond, so their average rate of yield is somewhere between a 10- and a 12-year bond rate. Those bonds don’t unwind at just the instant that the Fed decides to step up the rate. It takes time, so they’re suffering through those portfolios in some sense, having to create more for them than they can. So they’re going to increase the cost of their insurance policies if they can. In a universal life format, they can definitely do that. Do You See a Softening of Values on Life Insurance Polices? David Moore: With the changes that came with tax reform and more people contemplating the sale of life contracts, and more people out there mining policies to purchase via the ads and everything else, have we seen a softening of values on those policies? Art Scavola: No, it’s still very competitive. We’re in a period of greater awareness, because, as you know, television creates that. Now there are more people involved, and I think the capacity for policy acquisition has grown. Our particular affiliation is one that has the kind of expertise that cuts across all of the components of what is the right price for a life policy that can be delivered to somebody who’s a seller. There are a lot more buyers these days in the marketplace, and I think the pricing is very competitive for the sellers. Art Scavola: If you have a businessperson with a high net worth, or a charity, there are abilities now in the marketplace to take advantage of the lower interest rates in terms of premium financing opportunities where you don’t have to unlock your assets to be able to pay a premium. That premium financing strategy has been used for years, but it’s just now, again, refocusing because we’ve had these lower interest rates, and there are outlets where we can secure interest rates for the duration of the financing. Generally speaking that is never more than about eight or nine years on a given contract. Art Scavola: There is something going on now in the life insurance carrier area that isn’t great for the consumer. I suggest that the consumer beware. Look at your statements if you’re the policy owner, and make sure you reevaluate. We call it an inforce illustration to say will it or won’t it meet up to specs. David Moore: Since we usually talk about 1031 issues and retirement accounts, keep in mind that life policies as an investment opportunity don’t fit our IRA structure today. 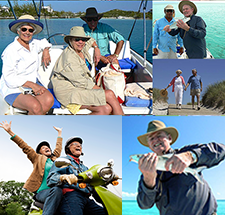 With 401(k) plans, you can do this, if we’re talking about investing in these things. Art Scavola: But retirement planning is at the top of the chart still with respect to the new section on 199a. 199a does allow for the purchase of life insurance in that format of retirement planning, but that’s a whole different spectrum than an IRA, even the large IRA purchase.